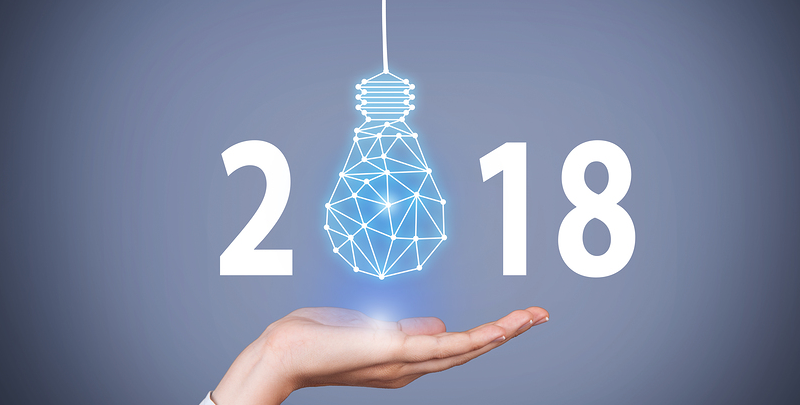 What Are Your 2018 Communications Plans? It’s almost a new year – an opportunity for a fresh start to try something new for your business. Now’s the perfect time to reflect on 2017 and plan for 2018. The holiday spirit is upon us and you’re going to start wrapping up loose ends so you can enjoy some down time. Have fun with family and friends… but be sure to set some planning time aside during the week between Christmas and New Year’s Day when, although some people will be working, it’s not typically the busiest of times. You don’t have to craft an elaborate scheme on how you’ll communicate better in 2018. The key is to reflect on what you’ve been doing and decide how you can improve upon that for the year ahead. How well have I been keeping in touch with past clients and referral partners? If you’ve been reaching out less than once a month, think about boosting your database communications. How many blogs did I post? If your answer is fewer than 12, consider blogging more frequently. Think about the most common questions you’re asked throughout the course of an average week. How diligent have I been with social media? If you haven’t posted at least three times a week to multiple platforms – we recommend Facebook, LinkedIn and Instagram – you may want to boost your efforts for next year. Did I have a new head shot taken and bio written this year? If not, it may be time to refresh your image. There are so many times throughout the year that your head shot and bio can come in handy, so be sure they have you at the top of your game. How often did I reward my referral sources? It’s so important to reward those who refer business your way. Remember, it’s important to reward the act of referring regardless of whether it ended in business for you this year. Once a referral has been sent your way, it’s up to you to close the sale. While contemplating the five points above – and anything else you’d like to tackle in your communications for 2018 – start blocking time in your calendar the first week of January to act on any areas where you feel you’re falling short. It’s also important to think about why you haven’t been communicating as effectively as you’d like. Is your workload too heavy? Are you having trouble coming up with ideas? Do you dread the thought of writing? If you said ‘yes’ to any of the above questions, it may be worth your while to hire someone to take care of your top communications priorities for you. After all, you may be leaving a lot of potential business – and money – on the table because you’re simply not staying top-of-mind with those who may use or refer your products and/or services within the next year. Finally, be sure to review your plan at least quarterly and keep yourself accountable to being able to tick as many items as possible off your communications to-do list throughout 2018 and beyond. We’re here to help. Answers to your questions are just a call or email away! Communications Plan = Succeeding on Purpose! What’s a Blog & Why Do I Need One? Spring has Sprung. How’s Your Business Celebrating? Copyright © 2019 Creative Soul Communications. All Rights Reserved.